The first of a batch of Stingers. Designed to be fast and we give a nod to the classic. One made and another in production. 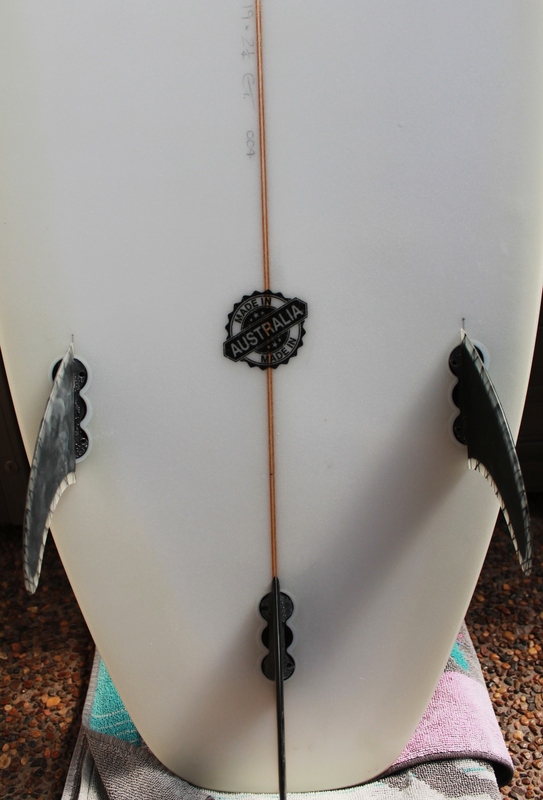 Crankin Surfboards are 100% Australian Made and hand shaped in Newcastle. Due to the low volume of around two boards per month, there is no need to use computer cut blanks. The idea is to create a performance boards that performs well in small surf and the Jaeger model was introduced to fill this need. 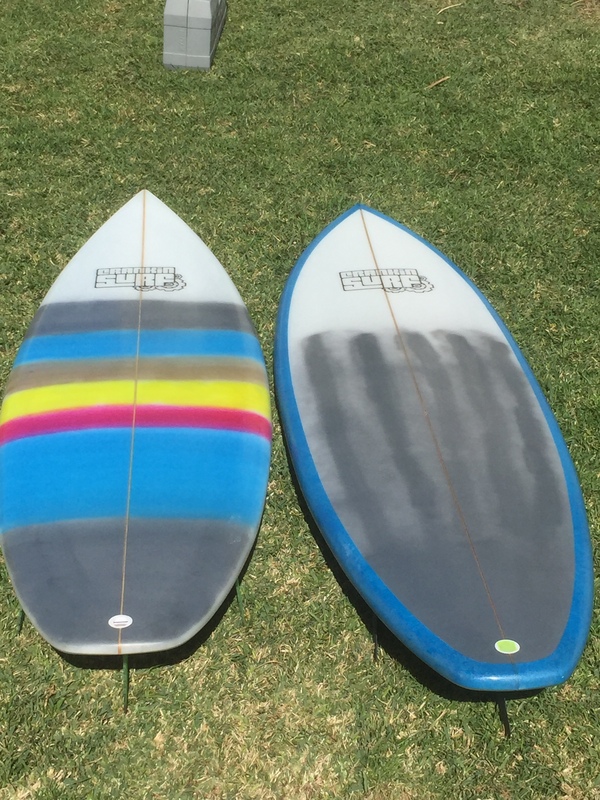 The 80’s retro design was inspired by the shaping of Gunther Rohn, whose work in the 80’s with Town & Country inspired Crankin Surf head shaper, Craig Tonks to learn more about surfboard design. The concept of Crankin Surf is to create affordable products but using high quality materials. This is achieved by very low profit margins. Crankin Surf started as a hobby, something to do on days off when there is no surf. It has evolved into a range of clothing, surfware and surfboards. “I had ideas of boards I wanted in my mind but no one sold anything like it. So I set about making them. I went and found a shaper, Richard Haynes who had shaped for decades and asked him to teach me to the old school techniques of shaping”. Crankin Surf is not Chlli or Lost nor does it want to be. It hopes to find it’s own market of people who want something different.